Let me remind you that the last MacPro was launched in March 2015 and got popularity by the name ‘13-inch Mac Book Pro with Retina’. And another Mac Book with screen size 15-inh was released in May last year. Now, Mac Book Pro 2016 is the new and exciting feature product of the company. Mac Pro’s are famous for the processors and display. It is also heard that the company might launch Mac Pro 2016 by the last quarter of the year. Like the iPhone 7, it is also the most awaited product of the year. Like the MacPro legacy, this product will also come with a 13-inch display. It is entirely possible that the 15-inch product will be launching after the launch of 13-inch like the last Mac Pro. 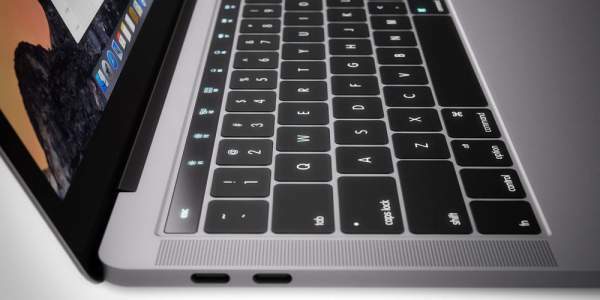 This gadget features a quadruplet of USB-C ports, two on each side of the laptop. It is also expected that the laptop will be tablet convertible. As the other laptop companies are moving towards the next and next generation of their processor, Apple also planned to move to the Skylake. Skylake is a new type of processors which are fat better than Broadwell. These processors improvise the performance with the battery life and energy efficiency. It is also rumored in the market that the gadget will provide a touchscreen which can detach the keyboard from it. It sounds really interesting. This device may use next-generation SSD. It means the upcoming Intel’s blazing quick Optane SSD’s. It is also expected that the device will be featuring TouchID fingerprint recognition. On the sides, the device will contain twin Thunderbolt 2, USB 3, an HDMI socket and SDXC card slot. Talking about the overall performance, Mac Pro will be faster and will be blessed with a better battery. This might be coming in different color variants like Gold, Space Gray and Rose Gold. The current Mac BookPro is available at around $1,119 for the non-retina model and $2,099 for the top model which is available with the retina scanner. It is expected that the upcoming MacPro will cost around $ 1,599. There are more to tell about the product, but every news is present in the form of rumors because there is no official detail about the laptop. What you can do is wait excitingly for the launch which is not too far. And hope the company would bless the market with another superbly fantastic product. What are your expectations from this product of the Apple? Get subscribed yourself to the site for future updates. Stay tuned to The Reporter Times for latest Apple news and all other Tech updates across the globe. Don’t forget to share it on social media sites like Facebook, Twitter, Google Plus and others.